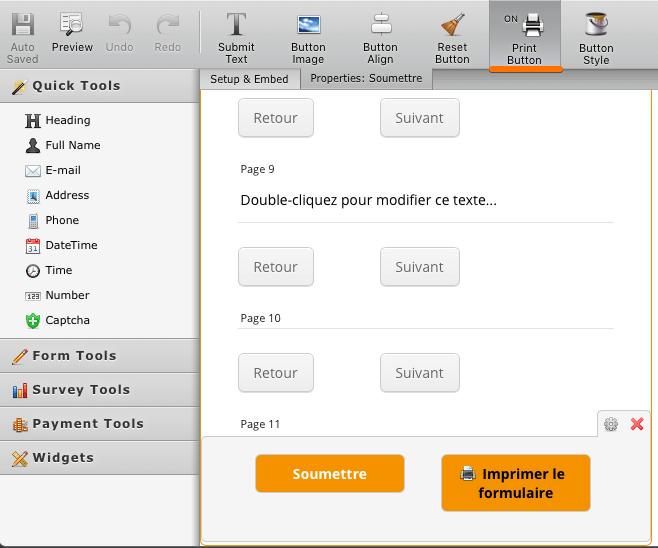 Here is my question : I want to insert several "Page Break" elements inside my form, because it's more convenient for the person who fill the form on a smartphone ( he can click on "next" to show another page with another subject. The problem is when I want to edit the PDF file of a submission (in order to get a good PDF with the same style as the form), I get only the first page and not the others ones. In case you are referring to the following guide, I would like to suggest printing with a form Print Button. How to print a form exactly as it is when viewed, but with the user entered data? 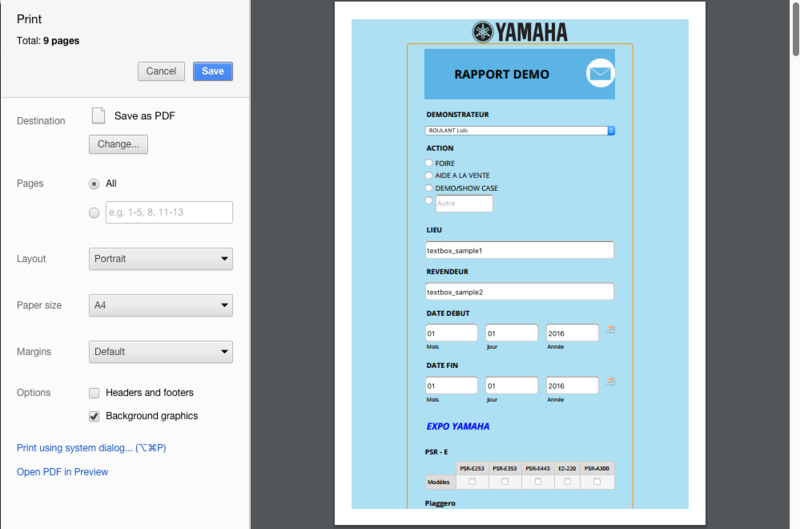 - Enable the Print Button on a form submit section. - Use it once you are in a submission edit mode. It should allow you to print the entire form automatically.